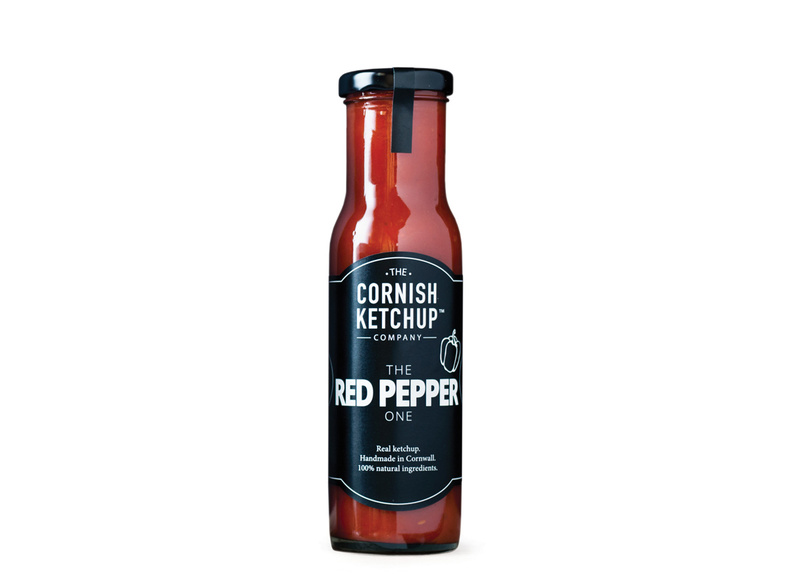 Red pepper & tomato ketchup made right here in Cornwall by The Cornish Ketchup Company from 100% natural ingredients. Made using Cornish grown tomatoes, The Cornish Ketchup Company have created a ketchup that is packed full of flavour. By adding lots of delicious oven roasted red peppers to their original recipe ketchup, they have created a rather delicious alternative to a classic ketchup. Tomatoes 75%, Red Peppers 60%, White Wine Vinegar, Sugar, Spirit Vinegar, Lime Juice, Cornflour, Salt, Sweet Paprika, Onion Powder, Garlic Powder, Cumin Seeds, White Peppercorns, Celery Seeds.